At Southwest Greens of New Mexico, we proudly offer EnvyLawn turf. EnvyLawn is made from the finest materials and comes in a variety of blade lengths, textures and colors. Regardless of where the artificial turf is being placed, it will stand the test of time. New Mexico residents use turf in a variety of ways. Some desire a backyard putting green while others look to avoid the heat and build a basement or indoor synthetic grass green. With our industry leading materials, processes and expertise, we can customize and install your artificial putting green on any surface. Increased home value: Our artificial turf will save you money and add value to your home. You are guaranteed a long-lasting indoor or outdoor putting green. Environmentally Friendly: All our synthetic turf is made from 100 percent recyclable materials. 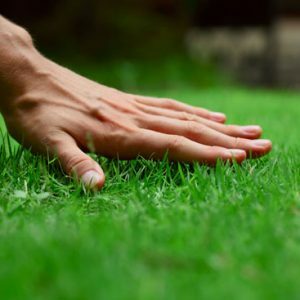 Hassle-Free: Our artificial grass not only has a minimum 25-year lifespan, but it also requires very little maintenance. There are no divots to replace and no grass to trim. Occasional brushing is all that is needed. No matter the size of your project, Southwest Greens of New Mexico can handle it. Get started on your indoor or outdoor putting green by contacting us for your free consultation.